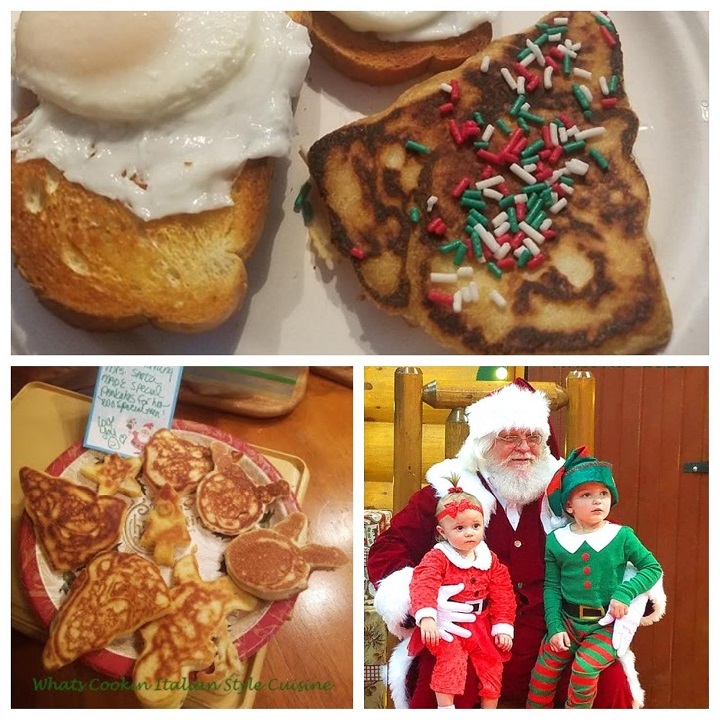 Cookie Cutter Pancakes are always the perfect treats for all your little Elves and Santa to enjoy! 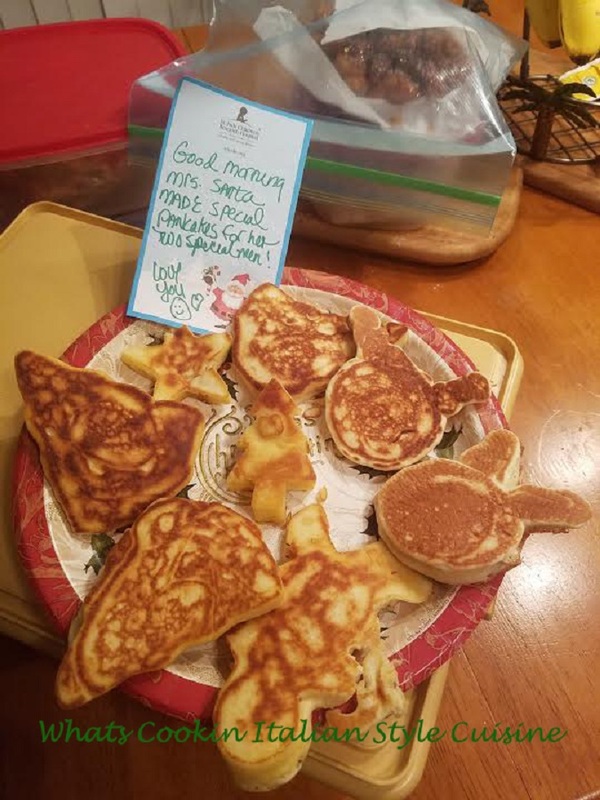 The young at heart also gets a big kick out of this creative way to serve pancakes and cut out toast for the Holiday Season. I'm not sure what I love more, making these fun treats or eating them! But the look on my grandchildren's faces is going to be the best part of the day! They just love the shapes and these are so easy to do. Just make sure you are using a metal cookie cutter sprayed with a light film of cooking oil. They will easily slip out of the cutter when you lift it off to flip your delicious creations. Any time of the year you can make these special treats. 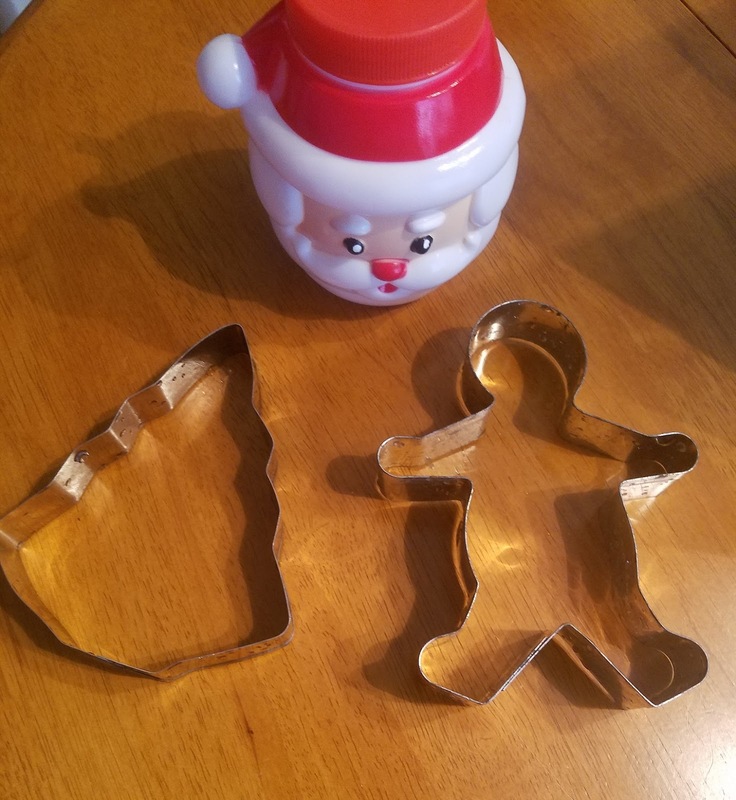 I have a large collection of metal cookie cutters, so I usually can make animal shapes, characters and much more to make the kids smile all year long. During the holiday, it's always a must make and they ask for them every year in case I forget. One of the best parts about cooking is creative and you can just use your imagination to make whatever they like. Another way to do this is put the pancake batter in a squeezable condiment bottle. You can actually squirt the batter on an oiled coated pan to make whatever you like if your artistic. Have some fun and enjoy eating these creative pancakes. 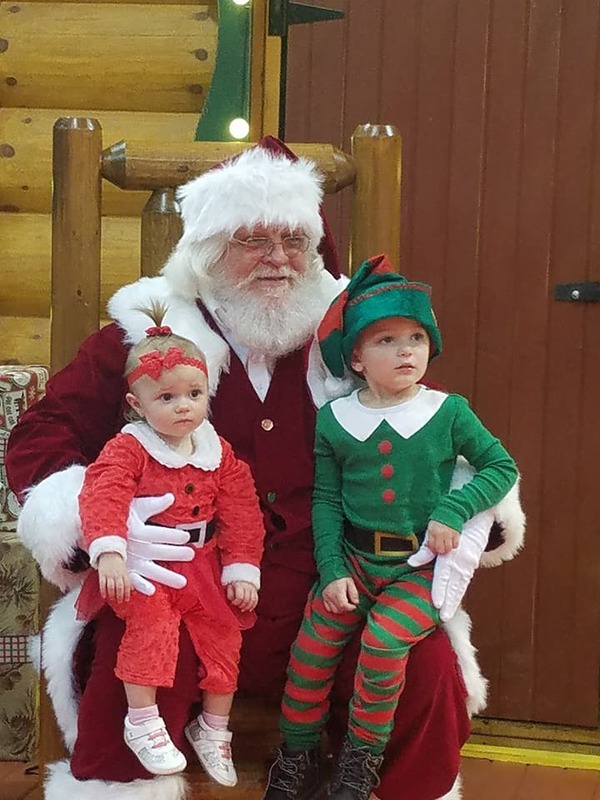 Talia and Antonio went to see Santa! I just love making such fun great memories with my grandchildren this one tradition just warms my heart. Antonio wanted to save his pancakes for Santa. The perfect festive treat for little ones, young at heart and guests to celebrate the holiday. Of course, you can use this idea all year long using any kinds of cookie cutters. If you are really super creative you can use a condiment container filled with batter and make characters by drawing whatever you like on the pan. I have made easy to draw characters like a snowman, bears get creative! 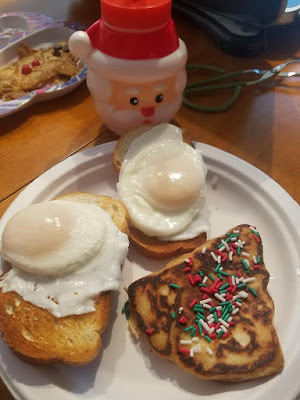 Here is our breakfast for Christmas morning! You can also cut your toast out into shapes for the poached egg idea. Or just cut soft bread out and make and egg sandwich and not toasted. 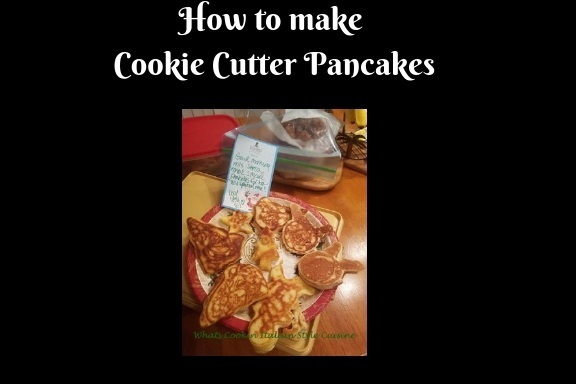 Get creative using the cookie cutters, these pancakes are just one of many reasons to use them. Garnish Suggestions: 1 /2 cup miniature chocolate chips 1 container of fresh raspberries or strawberries sprinkles fresh whipped cream nonstick cooking spray maple syrup. Sift flour, sugar, baking soda and salt into large bowl. In separate bowl, beat buttermilk, egg yolks and melted butter until blended. Beat egg whites in separate bowl until soft peaks form. Stir buttermilk mixture into flour mixture until just blended (there will be some lumps). Add egg whites and carefully fold in until just blended. Heat large nonstick griddle over medium heat until hot enough to sizzle a drop of water. Add the cookie cutter of choice. Spray them with cooking spray. Pour till half full. Adjust heat to medium-low and cook . Turn when edges look brown not long around 40 seconds and flip. Cook until golden brown on other side, another 2 minutes. Repeat. Decorate the pancakes however you like and have a Merry Christmas to all my viewers! Do the kids love play dough? They are super cute and festive made with cookie cutters. 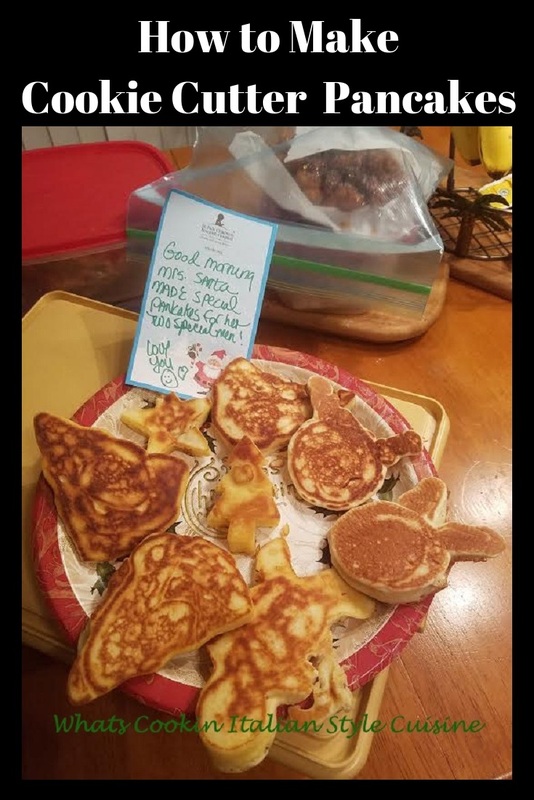 Even though my kids are grown, I think they'd get a kick out of special pancakes for the holidays!